Yash Saxena, Vijayakumar Nanjundappa, Shobha Sreedhar, Chaitanaya Reddy. Background: Anganwadi workers (AWW) and auxiliaryauxiliary nurse midwives (ANM) whom we can say in Indian scenario work at grassroot level and ground level, respectively, very close to rural community where child abuse is more frequent and unreported, which affects a child physically, mentally, emotionally, and psychologically. Objective: To assess the level of knowledge, attitude, and practice (KAP) against child abuse among AWW and ANM. Materials and Methods: This study was undertaken with the help of a pretested self-administered questionnaire in both the groups. A total of 69 AWW and 53 ANM during their scheduled monthly meetings were targeted in the study. After explaining the need for the study and assuring confidentiality for answers for the study, they were asked to fill the questionnaire. Completed questionnaires were collected back and subjected to data analysis. Results: The highest mean knowledge score was among AWW and ANM who had 8–10 years of experience, which was statistically significant; the mean attitude score was not statistically significant among AWW and ANM; and the mean practice score was highest among AWW and ANM who had 8–10 years of experience, which was statistically significant. It was found that knowledge correlated significantly with attitude and practice. Conclusion: Knowledge and attitude toward child abuse at grassroot level among AWW is insufficient when compared to ground level among ANM, but practice about procedures and reporting after detection of child abuse was disappointingly lacking among AWW and ANM, urging to enforce and reinforce formal education among them with the help of lectures and printed materials with color plates of abuses, which would enable detection and reporting of this social public health evil to get eradicated. 2. Datta P, Datta S. Sensitization of dental team towards management of child abuse and dental neglect. Indian J Forensic Odontol. 2012;5:3;97-103. 5. NSPCC. News Special Understanding Child Trafficking. Spring 2013. Available at: badn.org.uk. 7. Nalini PR, Thirunavukarasu MR, Dongre AR. 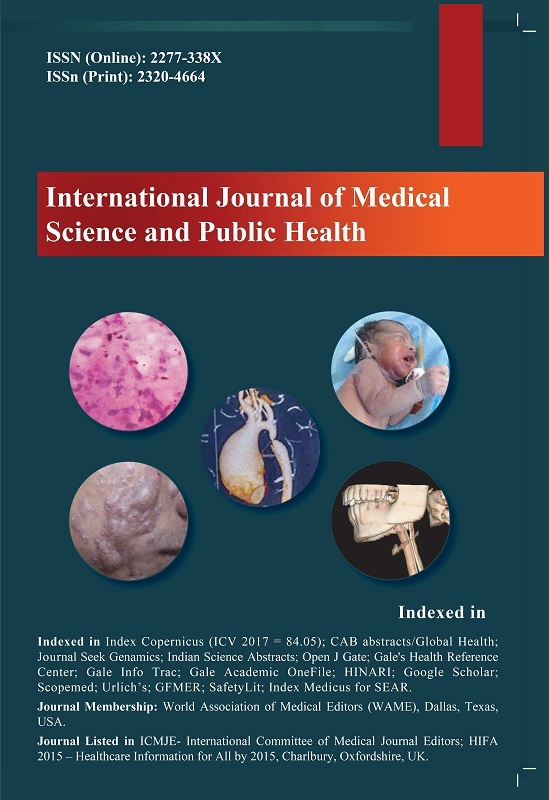 Reports of child abuse in India from scientific journals and newspapersÂ—an exploratory study. Online J Health Allied Sci. 2013;12(4):8. 8. National Population Policy 2000. National Commission on Population. pp. 1-10. Available at: http://healthopine.com/healthcare-infrastructure/the-anganwadi-workers-of-india-connectingfor-health-at-the-grassroots (last accessed July 13, 2014). 9. Rural Health Care SystemÂ—The Structure and Current Scenario in India. Available at: http://mohfw.nic.in/dofw%20website/Bulletin%20on%20RHS%20-%2006%20-%20PDF%20Files/ Genesis%2. 12. Ã„ÂŒukovic-Bagic I, Welbury RR, Flander GB, Hatibovic-Kofman S, Nuzzolese E. Child protection: legal and ethical obligation regarding the report of child abuse in four different countries. J Forensic Odontostomatol 2013;31(1):158-9.